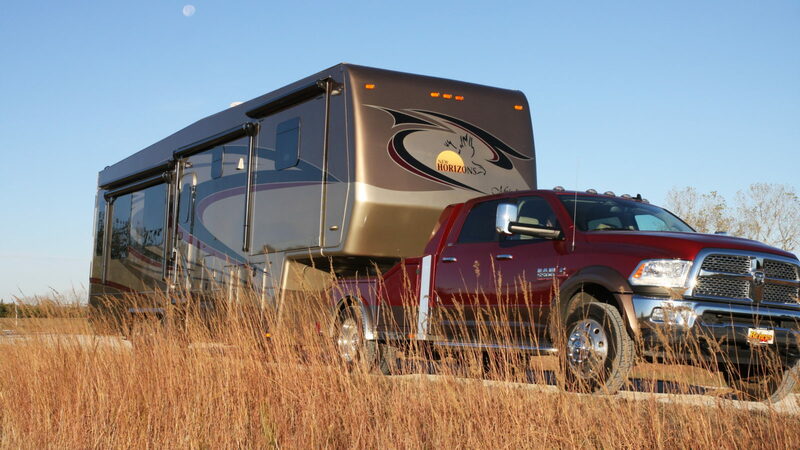 We’ve got the models, floor plans and features to fit your RV lifestyle, whether you’re seeking a full-time home or a passport to adventure! 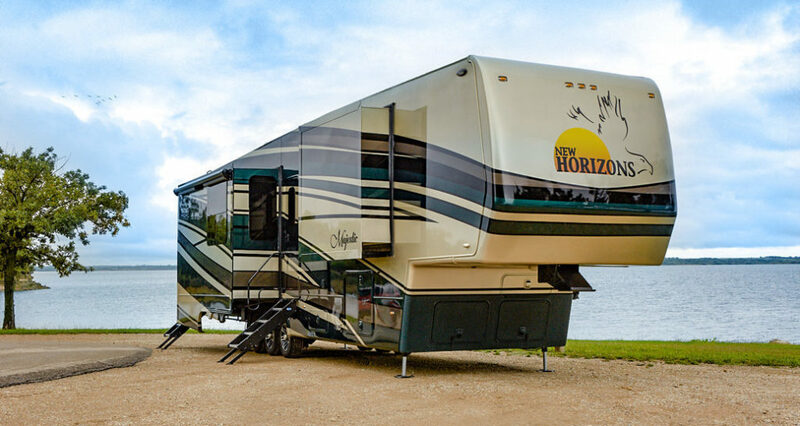 Built for reliability, value and safety, the Summit offers year-round comfort, decades of dependability and a wide range of floor plans and options. 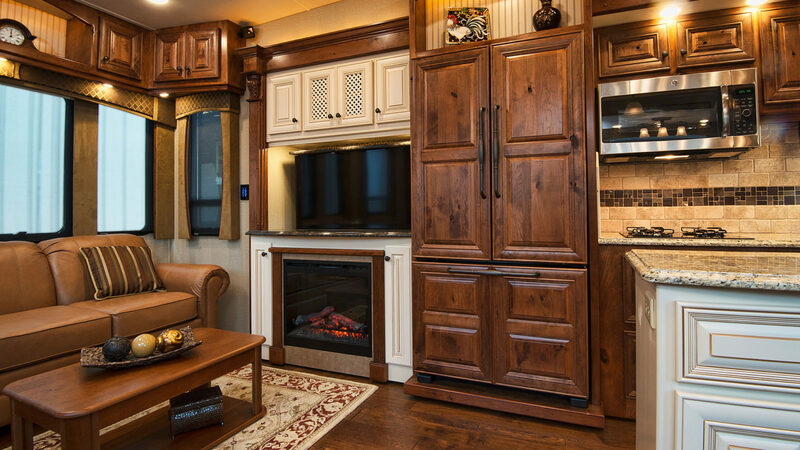 For quality, comfort and durability, the fully customizable Majestic truly lives up to its name and represents the epitome of full-time RV living. Whether you have your fun on water or land, on two wheels or four, we’ll get you — and all your toys — there in comfort and safety. 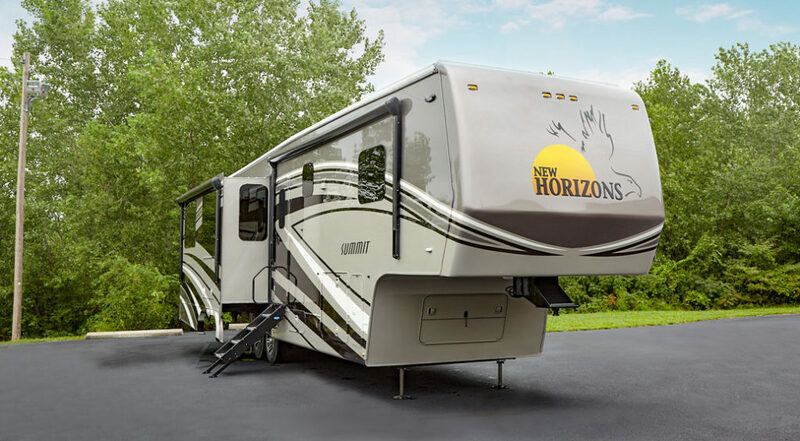 New Horizons RVs are built to withstand the rigors of full-time living for decades. 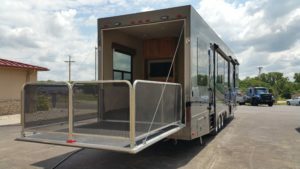 Our units aren’t just beautiful, they are engineered and built with attention to detail in every facet that is unmatched in the RV industry.